"Do you have The Dark Elf trilogy?" While most people were lazing around enjoying the carelessness that comes with each holiday season I actually managed to put a lot of work into Sorcerer's Place and the results are before you. A bunch of additions, some changes in the major sections of the site and many more tweaks here and there. This time the update report has been broken into separate (sub)sections for easier reference. The whole Community section has been re-created to include some of the recent changes regarding the opening of our Friendly Arm Inn chatroom. In the Chatrooms subsection you will now also find additional info that everyone keeps requesting of me. Another update here was made to the Related links subsection. I've removed two dead links and added a couple of new ones. A renewed interest in J.R.R. Tolkien's literature has been demonstrated on our message boards which reminded me of the fact that still many of his excellent writings haven't been added to our Tolkien books subsection. With this update I added 5 new ones, almost all of them ranking 5 stars at Amazon customers' book reviews. If you consider yourself a fan of Tolkien, then those books are a must. Not to leave out the other popular parts of the Fantasy Books section, I've also added 3 new books to the Forgotten Realms subsection, namely The Avatar Trilogy, another must for all FR lovers. Lastly, a novelization of the Dungeons & Dragons movie has been added to the Other recommended books subsection. In spite the fact that the movie was mostly accepted as a so-so production, the book got many more positive reviews. I've added the requested Pantheon of the Realms & Human Gods of the Realms tables to the Forgotten Realms subsection. This time they're zipped and in the original and unmodified form for anyone who wants them. Note however, that they contain exactly the same information as their online counterparts. A History of Myth Drannor has also been added in the same subsection. No, I'm not kidding. I've actually found something to add there still. After all these years (hm, almost) I noticed that the original Baldur's Gate subsection is the only one that doesn't have the official FAQs in it. And since it wouldn't be like me to leave something unfinished, I promptly added those FAQ for the original Baldur's Gate AND Tales of the Sword Coast. (The official expansion). They've proven to be quite a trip down the memory lane to read. At first I was thinking about correcting them as I read, but when I noticed that they're inaccurate almost every other sentence I left them be. They still provide a ton of info (if somewhat inaccurate) to anyone who hasn't played the games yet. Any veterans of the original game and Shadows of Amn as well should check them too, if only to see how much the final products differentiate from the ones described in the FAQs. NOTE: The original Baldur's Gate FAQ is very large and has obviously never been updated with the changes that were implemented later in the development stage. Same goes for the TOSC one, which explains the amount of inconsistencies you'll find if you read carefully. 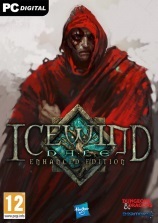 Icewind Dale won't get cold anytime soon, especially with a hot expansion like Heart of Winter coming up. (Gee, 3 antonyms in one sentence. I'm getting good at this). I've added 2 new FAQs/Walkthroughs to the main Icewind Dale subsection, and updated another one. The official FAQ for Heart of Winter has been added to the Tips, Tricks & Hints subsection, along with another downloadable items list. Finally the one you've all been waiting for, eh? Well there's a bunch of new stuff here as well. An addition has made it's way to the main BG II subsection. Next are the changes to our own Baldur's Gate II Online Solution. I have fixed the NPC tables which are part of the NPC Guide so that they now reflect the fixed stats in it. Quite an undertaking if I say so myself. In the Tips, Tricks & Hints subsection, there are 3 new additions. First is the inclusion of the spell casting advancement tables for all magic users. Second are the experience point tables for all classes. Third, and last, is a full list of familiars with all their stats & bonuses. The Jumbo List of BG II Cheat Codes has grown even larger with this update. I've fixed some of the item code errors and added a couple new ones, bettering the already immersive cheater's paradise. Most notable additions are the item codes for all of the special items from the Bonus and Collector's edition CDs. NOTE: There's also a patch to spawn the two special merchants with these items in the Editors, Hacks & Cap Removers subsection. Final new addition for today is the log from the post-production chat Bioware had at The Ultimate SpeedZone. Read it in the Miscellanea subsection. And this concludes one of the largest updates to date, I believe. Thanks for reading and stay tuned for more goodness in the new millennium! After three days of "downtime" (lightning fried my modem) I'm finally back. Well it's not in my nature to stay idle no matter what, so I made the best of the extra time that I didn't spend on the Internet. Erran, a devoted member of our message boards and (now) a contributor to the site has sent me a ton of material regarding the religion and deities of the Realms which I converted to online layout and added to the Fantasy Worlds/Forgotten Realms subsection. You'll find a general overview of the pantheon of the Realms there, plus a detailed listing of all human gods. The two other subsections of that part of the site (Other Worlds and Fantasy Movies) are in need of some more coverage, so if you have anything that you think would fit there, please contact me and I'll add it there. Especially Fantasy Movies section needs at least a short report regarding the D&D and LotR movies, so if you've got an hour or two of free time and would like to contribute to the site, contact Sorcerer for more details. Among other news, our official chatroom is now called Friendly Arm Inn, by popular demand. I hope to see all of you there eventually! Sylvus has also been working on his Baldur's Gate II Online Solution. Three new areas have been added to it today; The Temple District,The Government District and The Planar Prison. I've been adding the finishing cosmetic touches (mostly grammar checks) to many of the areas lately and will continue to do so until I catch up with Sylvus' writing. As you might have noticed, there's a new feature at Sorcerer's Place. After a short testing period I have decided to open our first chatroom which has yet to be named, so check out this week's poll and vote for your favorite name! I will frequently drop by with the nick Taluntain, and Sylvus will be a regular visitor as well. I will also try to lure here any of the remaining people from our old channels on EFnet, so I expect the chatroom to grow swiftly. If you want to drop by and say hello or you might have any questions about any of the games we cover, please visit us! On a side note, the chatroom is written in Java so you need to have Java enabled in your browser's preferences. Extensive changes have been made in the entire Community section, so check it out. The section now reflects the fact that there is an online chatroom up, plus lists all of our message boards more coherently. The whole About Us section has also been redone so that it now contains only the people who regularly contribute to the site. An addition to the Baldur's Gate II section has also been made; I have prepared a heavily modified version of the unofficial Gamespot's monster guide. It can be accessed through our Baldur's Gate II Online Solution in the Foul Beasts section. Fixed the Neverwinter Nights webring code so that it actually points somewhere now. Changed the city of Athkatla map in the Athkatla part of our Baldur's Gate II Online Solution. The old one was still from the beta version of the game and just about all locations except the Slums, Graveyard and Waukeen's Promenade have been placed completely different in the final version of the game. Fixed the link to Dark Side of the Sword Coast homepage in the Baldur's Gate/TeamBG Tools section. As suspected, Ken Baker has retired from the position of the leader of TeamBG, so the site has not been updated in a while, and was recently down completely. Well, it seems that things are changing now since there is someone new on the project and they seem to be rebuilding the site. If they had an e-mail listed on the site it'd be even better since as it is now, I have no idea who this person is or how to contact them. Sylvus has been busy updating our Baldur's Gate II Online Solution so we have even more areas online now. Trademeet has recently been updated with some submitted info and Druid Grove has just gone live with today's update. The final Baldur's Gate II patch is out, so it has been added to the Baldur's Gate II/Miscellanea subsection of the site. If you don't have it yet, download it immediately. It can be installed over the beta, should you have installed that one before the final one. There is an unaccredited patch in the Baldur's Gate II/Editors, Hacks & Cap Removers subsection (please mail me if you are the author or know who the author is!) that allows you to have all 3 romances running at the same time. I have added a direct link to the search engine of our Baldur's Gate II message boards to the Baldur's Gate II/Tips, Tricks & Hints subsection, along with a short list of suggest keywords to try on it. Our archives are massive, so just about anything you enter will yield a few (or a dozen) results. Very handy for a quick lookup of all things that have been posted in the past. Last, but not least, I have added an article detailing the history of 3 NPCs, along with their concept portraits. (Big difference from the finals). The article was posted at CGO about 9 months ago, but none of the details from it have changed in the final game, except for the portraits, of course. Jan definitely looked more devilish back then, and Keldorn even more battered, not to mention blind on one eye. (Ouch!). Aerie has probably changed the least. You can read it in the main Baldur's Gate II subsection, in the same frame where our NPCs guide is. Things have finally calmed down a bit, so I was able to do some REAL work on the site for a change, not just the most urgent updates as has been happening here for the last two weeks. There are plenty of new things to be seen here, so take a few minutes and read the exact details of this rather big update. The NWN Frequently Asked Questions page has been updated as well. The really big additions have been made to the Baldur's Gate II section of the site. I'll start with what I spent the most on - the Baldur's Gate II NPC Guide. Although the NPC guide has been on the site for quite a long time (a few weeks before the game was released), some readers have noted that certain stats in our list were wrong, in one instance even a whole class was reversed. Well, all the stats and classes have been fixed now, plus I added the locations of all NPCs and how to get them to join you. As an additional bonus, all of the old portraits (some were taken from the screenshots back then) have been replaced with crispy-clear new ones. A link to the list was also added to the main BGII section for easier access. The second time eater was the Baldur's Gate II area map. Sylvus was good enough to have scanned it, and I put my editing skills to work and so we can offer you the whole Baldur's Gate II paper map, which was only included with the US version of the game. On a side note, a bunch of in-game maps are also available in our Baldur's Gate II Online Solution. The BGII/Editors, Hacks & Custom Characters subsection has been split in two parts due to it's size. The upper half now consists of things like custom characters, portraits, savegames, voice sets etc., while the lower is purely for hacks, editors, scripters and the like. New things that should be mentioned in this section are a bunch of submitted voice sets (excellent ones), and the extra merchants that enable you to access some of the very special, very expensive weapons and items. The Community/Related Links section hasn't been updated in a long time, so I took the time to go through all the links there, removed some dead ones and added a couple of new ones. Two new screenshot galleries have been added. The other one is of Icewind Dale. I took 130 screenshots throughout my game and you can see them all online in the Icewind Dale/Screenshots subsection. Also, a small addition was made to the IWD Cheats list (only a small part is online, you can download the whole list). I've been asked a few times if I know how to enable all movies in the game to be seen without actually playing the whole thing through, so I added the movie codes to that cheat list. Not to be left out, there are two new additions for Baldur's Gate II. First is an update to Deborah Norris' BG II Desktop Theme which now also includes a very cool screensaver. You can download it from the BGII/Miscellanea subsection. Second is an interesting character pack which contains Ignus & Morte, two NPCs from Planescape: Torment. They have been re-created to work with Baldur's Gate II by B. B. Hart, to whom go our thanks for sending them in. The whole thing can be downloaded from the BGII/Editors, Hacks & Custom Characters subsection. You can download it from the BG II Editors, Hacks & Custom Characters subsection of the site. As many of R. A. Salvatore's fans around the world already know, a new book of his has been released yesterday, namely Servant of the Shard. For a change Entreri, the wicked assassin, and Jarlaxle, the cunning drow, share the spotlight. As with all other great Forgotten Realms books, this one can also be found in our FR Fantasy Books section. After a while the Sorcerer returns with a bag full of new stuff... As usual. First I'll mention an addition to the Torment Tips, Tricks & Hints subsection. Daniel Herfield started writing what he thinks will be the best Torment guide ever, but for now it's still in the early stages so only time will tell. It will be updated on a regular basis. Personally, I'd like to see a list with locations of all spells there, something no one else bothered to put together yet. The main Icewind Dale subsection has also seen some additions. I have been updating the Heart of Winter features list the whole week so if you only checked it the first time it was posted, look again. There's much more there now. Baldur's Gate II subsections have a boatload of additions this week. Starting with the Miscellanea subsection, there's a new cool desktop theme there. The Slaying of Firkraag screenshot (from our BG II Online Solution) has been fancified and enlarged. As posted at the main news page, the message boards and the rest of the scripts needed to operate Sorcerer's Place are back up & running. Thank you for your patience. Fear not, 'tis not as vast a update as yesterday's, but quite an undertaking nontheless. I've added a handy little table of familiars to the BG II Tips, Tricks & Hints subsection, just in case someone doesn't know yet what type of familiar your main character can get. Furthermore, a BG II known issues page has been added to the same subsection as listed above. If you're having trouble with the game be sure to give it a look. As for IWD, after a long time there's a new addition to the main IWD subsection. I've compiled a large list of all known facts & features about the upcoming expansion, Heart of Winter. Give it a thorough read if you liked the original game. It might persuade you into buying the expansion in case you are having second thoughts about it. You can read last week's poll results at the front page, but a copy of it is available in the Poll Archives section as well. As you've probably noticed, at the time of this writing our message boards (and all other cgi scripts running on the site, including the main news script) are down again. I've bitched about it to anyone willing to listen, but a sad fact is that the server the site is running on is seriously overloaded and can't handle all the traffic coming through, a fact that has been obvious for months but has recently gotten much worse. I've requested that eUniverse, our host, do something about it immediately, but you can see the results yourselves. I will persevere for a while longer, but if we don't get placed on a new server (or they don't fix this one) some more desperate measures will have to be taken. Don't ask me what, I'm too angry to be able to think straight. We have a ton of new stuff for you this week and practically all of it BG II material. (What else?). Let's start with the Cheats List. It's been updated with an enormous items list covering all weapons, scrolls, armor and a bunch of other items and is now REALLY huge. I've placed links to the top of the page in it periodically so hopefully none of you will get lost while plodding through it. Now for some brand new additions. In the main BG II subsection two new walkthroughs have been added. One is in early stages of development and more of a general reference than a fully fledged solution, while the other goes a bit further and is also more detailed. Don't forget to check up on our own BG II Solution that is coming along nicely. Next, in the BG II Tips, Tricks & Hints subsection is a new guide to the treasures of Amn, something anyone playing BG II should read. It was originally posted at CGO, but I converted it to our site layout and corrected it in several places. BG II Misc subsection has also been updated, with a pretty cool wallpaper made out of all NPC portraits from the game. You can preview the whole thing in the above mentioned section. As for the BG II Editors subsection, a level 50 patch/cap remover has been submitted to us by Karl Hunt, to whom go our thanks. More details about it are available at the file listing. Last but not least, two new books have been added to the Fantasy Books/Manuals subsection. Because very few people bothered to read the Site News here or wade even deeper into the site to the Archives section where the poll results are usually published, I decided that from now on they'll be displayed among the more-or-less-daily news at the root of the site. (But also in the Poll Archives, of course). In the interest of introducing this vital section of the site to more people I decided to start announcing when Site News get updated. This way you'll be able to keep track of things that get changed around here. So from now any changes to Site News will be displayed on the main index as well. There are some new things on the BGII front as well. Brent Knowles' BG2Script utility has been added to the BGII/Editors subsection and is available to all of you who wish to edit your custom scripts in Baldur's Gate II. The biggest new addition however, is the BGII/Tips, Tricks & Hints subsection which has finally been opened. For starters I compiled a giant Cheats List, plus a link to another big one at IGN. Finally, there's been an addition the main BGII subsection in the form of a link to the short BGII guide Daily Radar is putting together. As always, our dedicated walkthrough scribe Sylvus is constantly updating his excellent BGII Solution as well. As you might have noticed in case you signed the guestbook recently, it was very sluggish to load and often didn't display whole at all. Well, I've managed to remedy this by starting the guestbook anew but, of course, keeping the old one as well. Therefor the new guestbook should now load very quickly, while all of the old guestbook entries can be displayed on a separate page. (A new subsection was added for this reason). Black Isle have released a new patch for the UK version of Icewind Dale, specifically for the customers who were unfortunate enough to have bought the game from the batch that had a faulty CD 2. The problem arises at Dorn's Deep so anyone (that is, all of us who have the English UK version of Icewind Dale ONLY) experiencing problems there should download and install it. The patch only fixes this glitch and doesn't add anything new to the game. You can download it from our Icewind Dale/Misc section. On the Baldur's Gate II front; Sylvus, our dedicated walkthrough scribe has been busy with the game so that we may (in our fine tradition) provide you with the first and best BGII Solution on the net. The whole starting area of Irenicus' Dungeon has been covered in detail in his constantly updated Baldur's Gate II Solution and is already available TODAY! (Follow the link above). Minor fixes have also been made to the BGII spell listings, while the NPC alignments update is on it's way. A BGII novel has recently been published and is now available from our Fantasy Books/Forgotten Realms section. Last poll's results (in which the amount of time people will play BG II was the topic) have been collected and are available here, accompanied by a few short comments. It's all pretty self-explanatory (again) so I didn't go into many details this week either. Whatever the answer, cheating (or to be politically correct, Character Editing) has been a favorite pastime for many of us since the early days of the original Baldur's Gate and this time around, it's no different. TeamBG, the guys who have a special subsection in all our game sections have struck again. Recently they've released the first Baldur's Gate II savegame editor, which can now be downloaded from our site as well. (BG2/TeamBG Tools subsection), plus the obligatory experience cap disabler. You might have been wondering if I'm ever going to make those Screenshots sections for the games, but finally the wait is over. I decided that it's about time I converted, arranged and presented them on the site since they've been sitting on my HD for months. There was always something else that needed my attention so I kept postponing them, but I hope I'll be able to finish them ASAP now. There is a total of 141 gameplay screenshots spanning the entire game and 54 beautiful in-game movie screenshots. Some of them are excellent wallpaper material so be sure to check them all out! Last poll's results (in which 3rd Edition D&D manuals were the topic) have been collected and are available here, accompanied by a few short comments. It's all pretty self-explanatory so I didn't go into many details this week. The upcoming worldwide release of Baldur's Gate II is getting closer and closer, and we're more than ready for it. Sylvus is making regular updates to his Baldur's Gate II Solution (which is much more than just a plain old walkthrough), so there's new stuff to report here all the time. Today he updated the NPCs part of the Solution with a ton of new information, and very cool comparison charts. The charts are huge and they rate each NPC from 1st to 16th covering all attributes, AC, THAC0, HP, Level, Lore, Thieving Abilities, Magic Resistance and so on. All of you interested in who you'll be journeying with and what their stats are like should check this out immediately! Let's start in Baldur's Gate II section first. Our Baldur's Gate II Solution is getting updated about 3 times a day now, so it's an url to bookmark and return to every day. (Don't worry, the actual solution hasn't been started yet, but you can already check the most interesting details about Amn, Athkatla, party NPCs and much more). Furthermore, Sylvus Moonbow would like to thank all of those who helped in getting the Icewind Dale solution (all chapters and files were finalized today) where it is today, and would also like to add that it will not be updated for some time as he will be working constantly to bring you a lovely BG II Online Solution. Feel free to continue to send Sylvus IWD notes, but be patient for the updates. Sylvus, our very own Exclusive Solutions Scribe has prepared another excellent guide. This time he focuses on soon-to-be-released Baldur's Gate II, more accurately on Amn (where most of the game takes place), it's long and interesting history, it's capitol Athkatla and much more. Read his Introduction to The Baldur's Gate II Solution and become sucked into the fascinating details. The Solution will be updated on a regular basis so check back often! Since last week's poll was somewhat special (and quite popular with 493 votes total), I scribbled my comments to the results a bit sooner so you can already check them here in case you're wondering what the end result was. Lord Draco Vlasavius, a 14th level fighter (custom character) has been added to the IWD Editors, Hacks & Custom Characters subsection. I thought more of you would send yours over, but it seems that everyone is jealously keeping them for themselves. Hrmph! Anyway, thanks for submitting yours Draco. I'm sure people appreciate it. I'm sorry it's taken me so long but I was overwhelmed with other things and I completely forgot that I haven't posted the results yet. So without further ado, here are the newest annotated poll results. The honors go to Vermillion who submitted the first story to the Fantasy Worlds/Other Worlds section. The story is an introduction to the cast of characters that will take part in the continuation of the series. The title of the story is Vows. If anyone else is feeling creative and wouldn't mind a bit of fortune & fame (well, fame anyway), please submit your stories to us. It doesn't really matter in which format they are, as long as it's not something obscure I won't be able to open with any of the programs I have. It all gets copy/pasted to our site layout in the end anyway, so it might as well be just plain old text file. The Icewind Dale section was updated with a new game guide. This one was done by Gamespot and is quite detailed. Both the online and downloadable versions are available. An edited chat log of the BGII developer's chat held over at IGN two days ago has been added to the Baldur's Gate II Misc section. I've also updated my Guide to Kits with some new information. Now the three new classes - Barbarian, Monk and Sorcerer are also described in detail. Let's face it - we're growing fast, and some sections are turning into huge resources which demand even better organization so that new things that get added to them stand out a bit, not just blend in with the rest. Therefor I started putting a small flashing NEW icon next to the headlines of all new (or updated) files, guides, maps and so on. This icon ( ) will be applied to the last new entry in each section (from this day forward), and to all updated files, guides, walkthroughs or new versions of various programs. Hopefully this will make it easier for all regular visitors to find new stuff more quickly. Sylvus, our dedicated walkthrough scribe who made the excellent Icewind Dale Solution has started work on his BG II Solution! Ok, to be completely honest there's no actual walkthrough as of yet, but you can rest assured that there definitely will be one once the game has shipped. In the meanwhile you can read Sylvus' introduction to Baldur's Gate II where along with a short story he describes all key features of the glorious sequel, plus puts up some promo material from E3 for you to enjoy. Bioware has been kind enough as to provide us with a review copy of Baldur's Gate II so check back here often because we'll have plenty of BG II goodies to share with you. Athkatla, here I come! After a ton of additions we got for the IWD Solution we now have a first major update. The Prologue has been updated with a lot of new info. Thanks again to all who have contributed. Take a look at the latest weekly poll and also check out last week's poll results. The Fantasy Books section is now finally complete. The last subsection to be added was Manuals, which now includes at the moment very popular 3rd Edition PHB, MM, DMG and others. You can order them from Amazon.com or Amazon.co.uk. A good new book was also added to the Forgotten Realms Books. It's entitled The Halls of Stormweather (by Ed Greenwood). The reviews rate it very highly, so anyone interested should check it out. It's the fifth book from the bottom up. A small update was also made in the Icewind Dale section. Under Miscellanea you can now download the German, French and Spanish versions of the 1.06 patch as well. Let's start in Baldur's Gate II section first. There's a new edited log of a chat with the Baldur's Gate II developers, held by Voodoo Extreme on the 7th of this month. Surprisingly enough, there's actually some new info in it as well. A must read for anyone who wasn't there. (You can download it from the Miscellanea part of the Baldur's Gate II section). Next is the Icewind Dale section. Here we have three new things for ya. First is an excellent editor called the Dale Keeper (sounds familiar?). Yea, it's from the same guy who made Gate Keeper. Then there's also the Icewind Dale script compiler, which was supposed to be on the game CDs. You can find both of these in the Editors, Hacks & Custom Characters part of our Icewind Dale section. Last but not least is the Icewind Dale Cheat List (Version 4), fresh from the oven. Download it from the Tips, Tricks & Hints subsection. It might have taken a while, but boy was it worth it! Our complete online Icewind Dale solution is now up. You can find the entire thing here while you can send comments about it directly to it's maker, Sylvus. The Fantasy Books section has been updated with new material. At the moment all of the sections except Manuals are up. (The rest will be up shortly). A couple of broken links were also fixed. Most notably the ones in the Pool of Radiance/Misc section. Thanks again to the person(s) who notified me of the glitches. The last poll was stuck in place for more than two weeks while I was in London, so it's about time I changed it. From now on they'll really be weekly, changed every Sunday. Take a look at the latest poll. (Old poll results are available in the Archives section). As some of you noticed, last poll wasn't really meant to stick there for the duration of the entire week, but it needed a test run and so I just left it hanging there. I was also doing a lot of modifications to the main page the entire last week because some things weren't working as they were supposed to, but (thank God) that's all fixed now so I can start with my more interesting polls again. This week's poll is about the new character portraits, i.e. your opinion of them. If you haven't read our news and found the link there, you can check them out by clicking on the link in the poll question. Two minor additions - the Icewind Dale and Baldur's Gate TeamBG sections were both updated with the newest versions of Character Control editors. You might have noticed that the Dragonlance Books section was under construction... Not anymore. It is now up and awaits your attention. I included some of my old-time favorites there, some collector's/one-volume editions for those of you who already have separate books, and also some of the new books from the Fifth Age. In other words, when you buy a book directly from Sorcerer's Place (by clicking & ordering through links next to the books, or by clicking & ordering any other book through one of the Amazon ads at the bottom of most sections) you make a good investment for the future. My special thanks go to all people who have already bought any recommended books. By doing so you help me keep Sorcerer's Place up and running. The long-awaited 5th chapter of our excellent online Icewind Dale Solution is up! Thank Sylvus for this one folks, he's put a lot of work into it. You can find the Solution here. Finished? Not yet. We also have another great piece of Icewind Dale art by Jason Manley in our Icewind Dale/Miscellanea section. This time it's a beautiful elven female mage. And not to forget, our About Us section is now complete, featuring bios of all current members of the Sorcerer's Place staff. You can read about us right here. After three weeks of hard work, the new look of Sorcerer's Place is finally online! There have been many changes to just about every aspect of the site, but I tried to preserve the useful parts of the old one wherever I could. A big thanks to all my visitors who continue to support me (one way or another). I couldn't have done it without you, and that's the truth. I should also like thank the people who have decided to help around the daily news sections. Sorcerer's Place has grown far too big for me to be able to control all parts of it, especially the news that require far more time than I have on my hands. As you've probably noticed the news section is now divided in two - one, main daily news section will appear when you load the root of the site (at http://www.sorcerers.net) and this one, my section where all site updates, additions, changes etc. will be posted. The weekly poll feature has also moved - it is now site-embedded on the first, main news page. Of course working on a project this big, there's bound to be something I missed too, so if you notice anything out of place (a broken link, a duplicate link, links leading to wrong parts of the site and similar), please let me know and I'll fix it ASAP.